Russian carrier Nordwind Airlines is leasing two Boeing 777-300ER widebody airliners from Dubai-based lessor DAE Capital (part of Dubai Aerospace Enterprise). The aircraft were previously operated by EVA Air of Taiwan, DAE Capital reports. 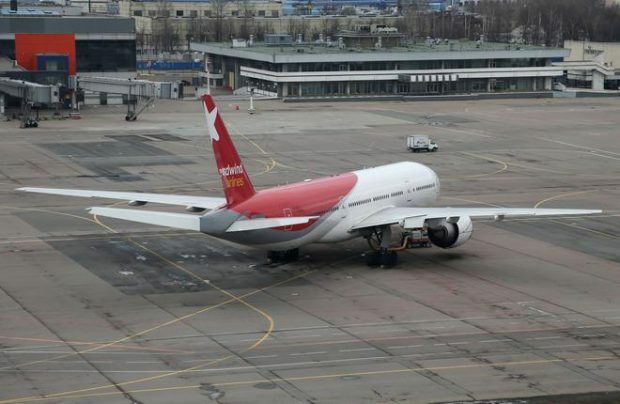 “To implement its feeder strategy, which covers 200 destinations, in the coming fall-winter season, Nordwind Airlines continues to expand its widebody fleet and is preparing to put two Boeing 777-300s into operation,” the carrier’s representative told Russian Aviation Insider. The first of the two aircraft is to arrive at the airline’s home base Sheremetyevo on August 31. Following the requisite customs procedures, in early September the airliner will start performing charter flights from Moscow. The carrier will receive the second aircraft next week. The two Boeings, to be registered as VP-BJL and VP-BJO, were built in 2005. They will become the first airliners in Nordwind’s fleet to have a three-class cabin layout (312 seats in total: 38 in business, 63 in premium economy, and 211 in coach). Nordwind already operates four Boeing 777-200s, which seat 393 passengers in two classes. The new addition will bring the carrier’s total fleet up to 22 aircraft. It also has Airbus A330-200s, A321s, and . Additional four airframes are expected to be delivered by year-end. Nordwind’s passenger traffic grew 85.4% year-on-year in January-July 2017, reaching 1.598 million; its seat load factor droped by 2.9 percentage points to 86.9%.